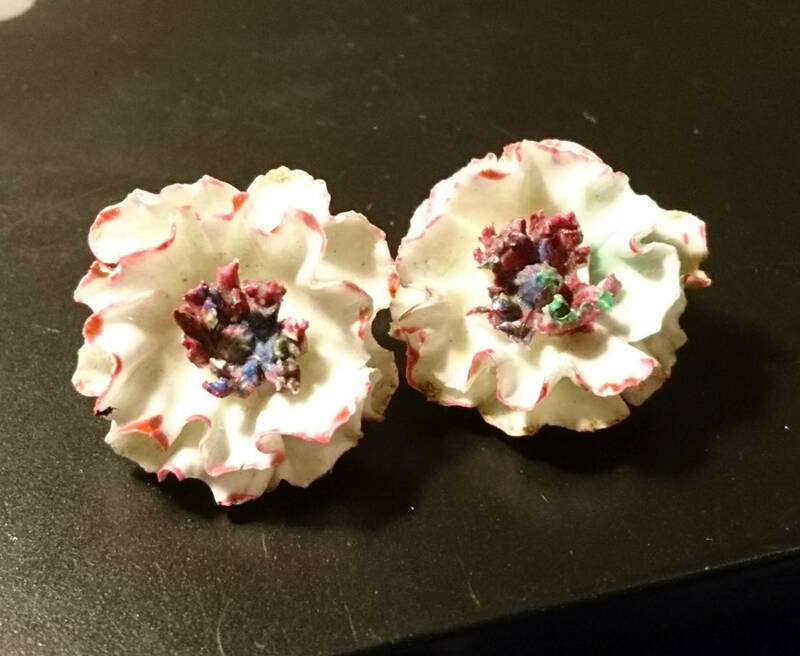 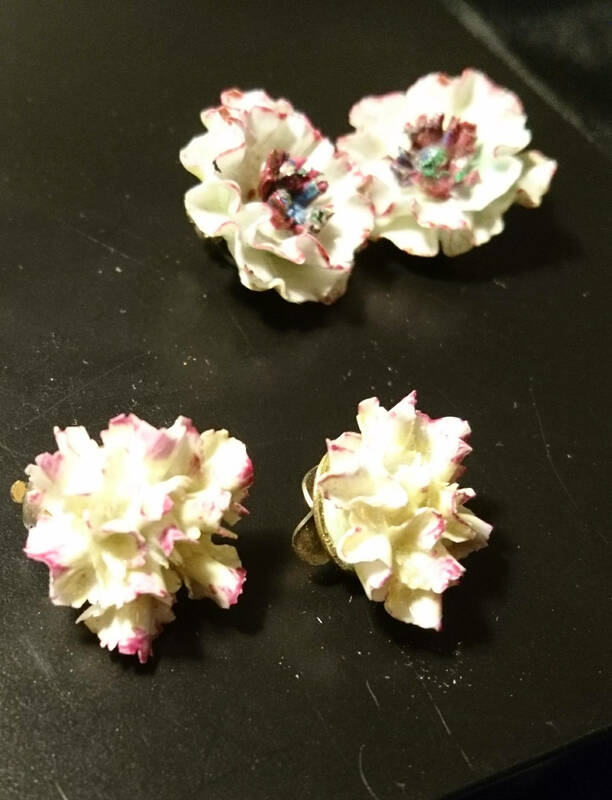 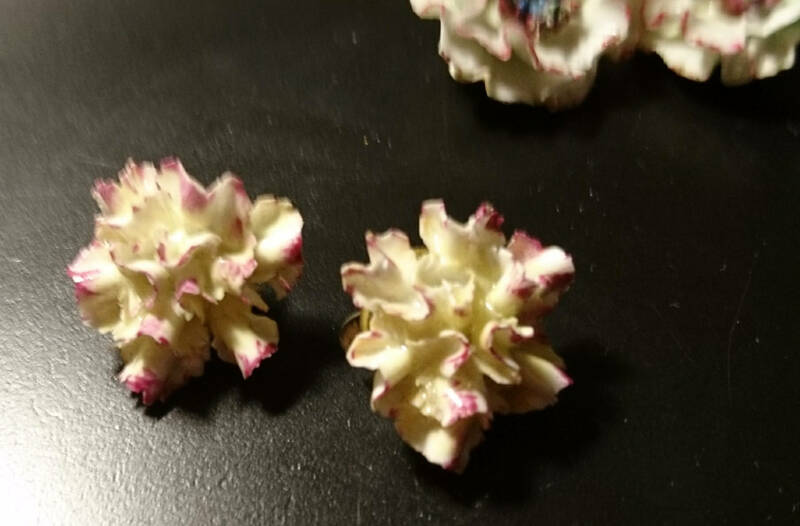 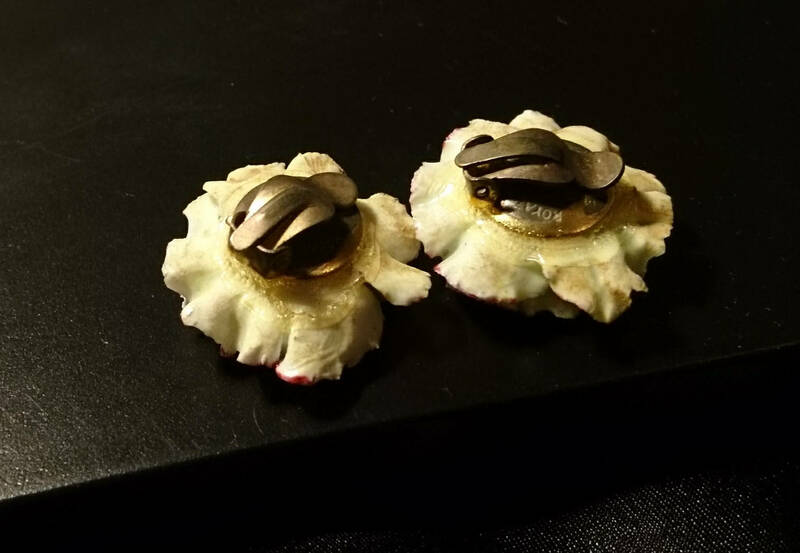 A beautiful set of two pairs of Royal Crown Derby porcelain flower clip-on earrings. 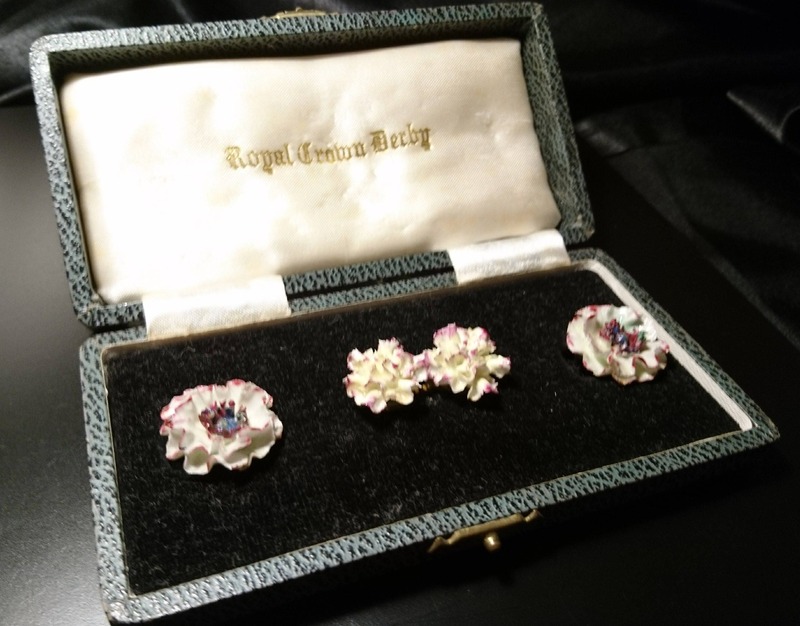 These beautiful earrings are in two different styles and are in an original Royal Crown Derby box made Circa 1930's. 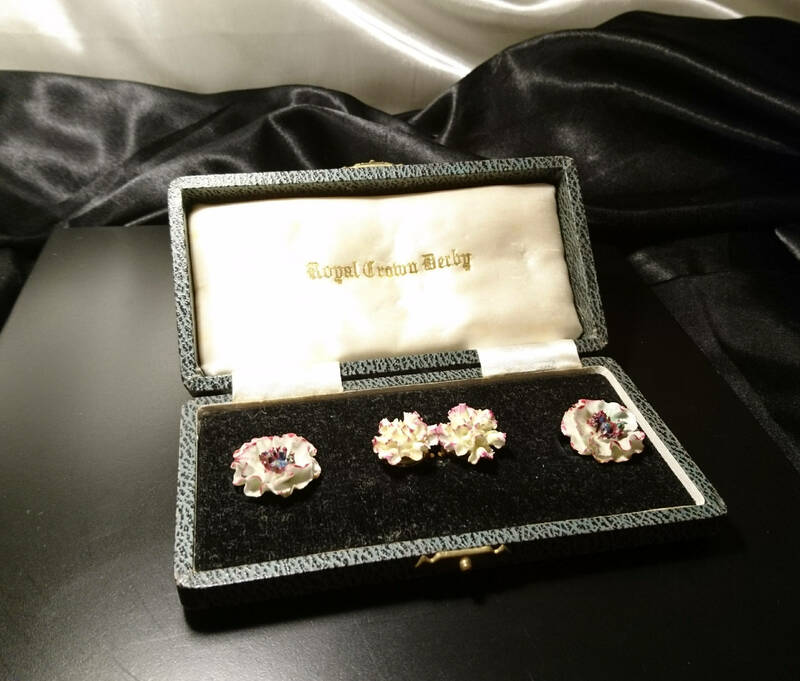 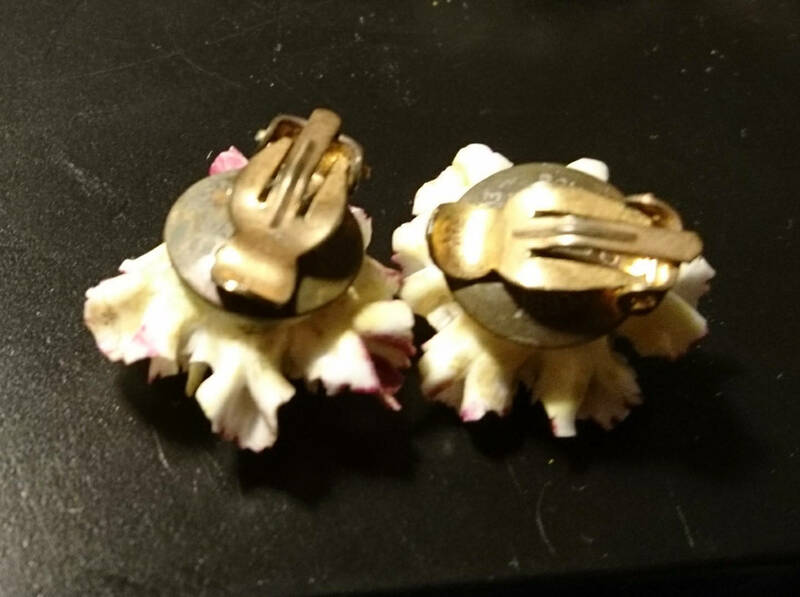 These came as brooch and earrings sets but here we have two different styles of earrings, both clip-ons with the Royal Crown Derby brand name on the back of the clips. 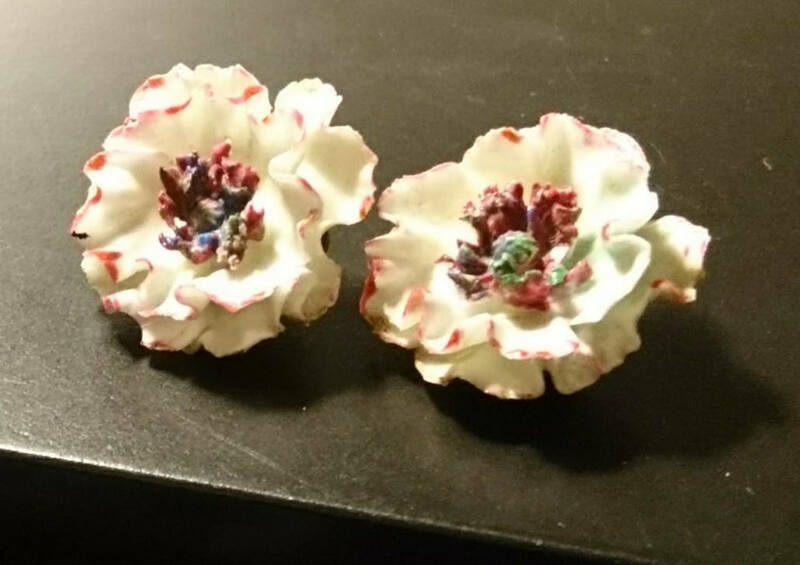 Very pretty and delicate and both in very good condition. 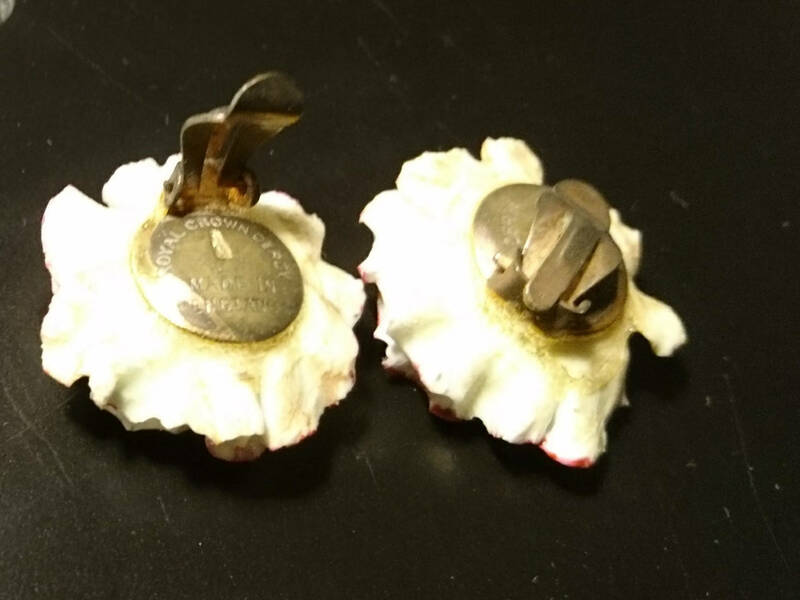 The larger pair are approximately 1.3" across and the smaller ones are around 0.8" across, the box is 6" in width.